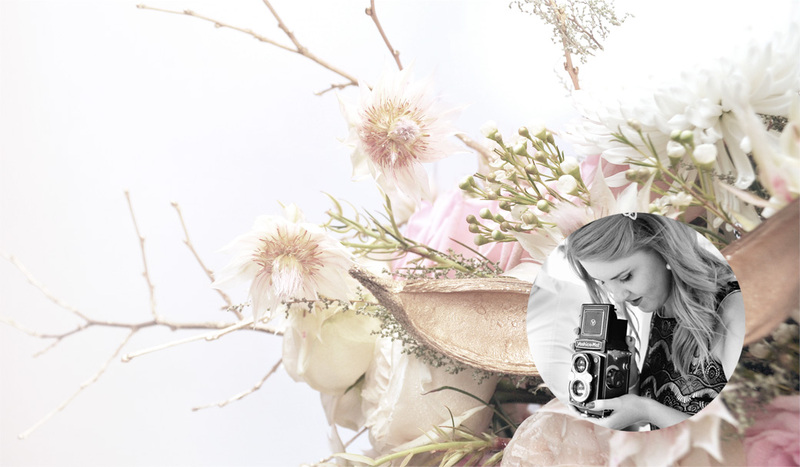 Trends, ideas, creations and thoughts from Terry Parenzee, owner of Ribbon Creative Studio in Pretoria, South Africa. 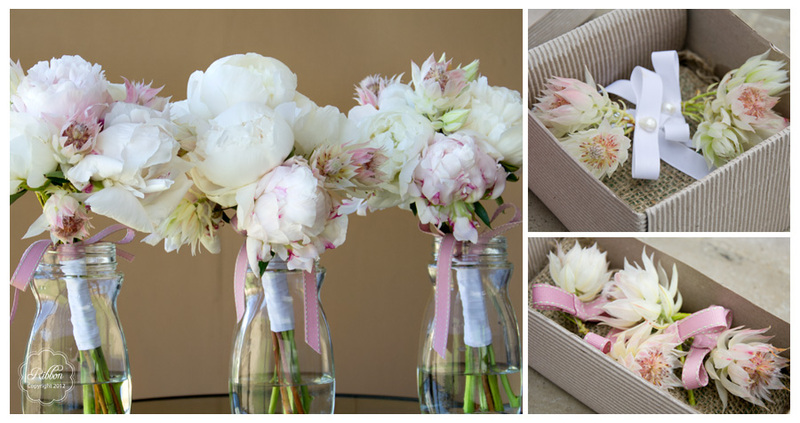 Peonies are a big favourite for weddings. Unfortunately their window of availability is very short – a month, maybe two. In South Africa they are usually available from around mid October to mid November. Andrea was fortunate enough to get married in this short period of the year. Peonies are in fact her favourite flower so perhaps this is why she chose to get married at this time. We were able to create soft and romantic blush and white arrangements for her and the bridesmaid’s bouquets. The Blushing Brides in the bridesmaid’s bouquets and boutonnieres blended beautifully with the colour of the Peonies. Her colour scheme for the reception was coral, pink, yellow and green – the team put together 100 jars of arrangements which formed the table decor.